Seems like new profile redesign will be coming to our Twitter accounts soon. Mashable assistant features editor Matt Petronzio noticed the update to his profile today and reported it. 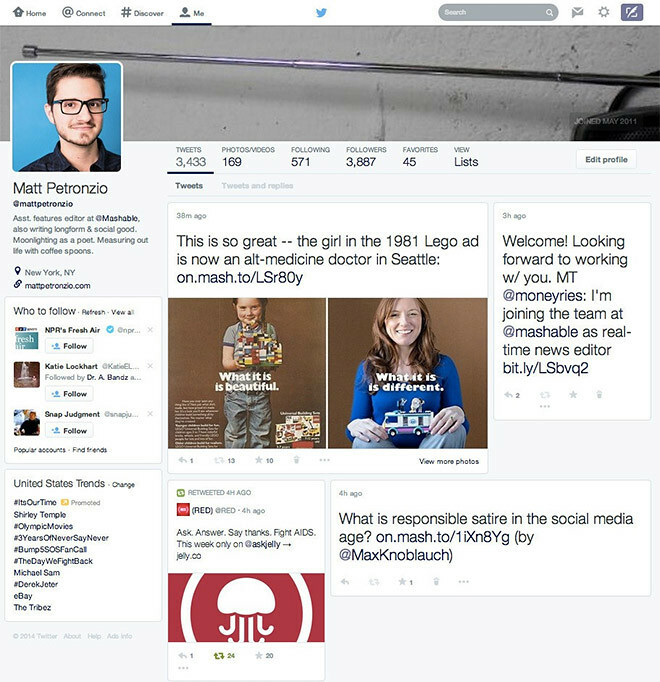 The new design features a large profile photo with other content like bio, who to follow, and trends. the usual Twitter stats are included as well; your follower, tweet, photo, following, and favorite counts. The rest of the page would be your Tweets placed in tiles. 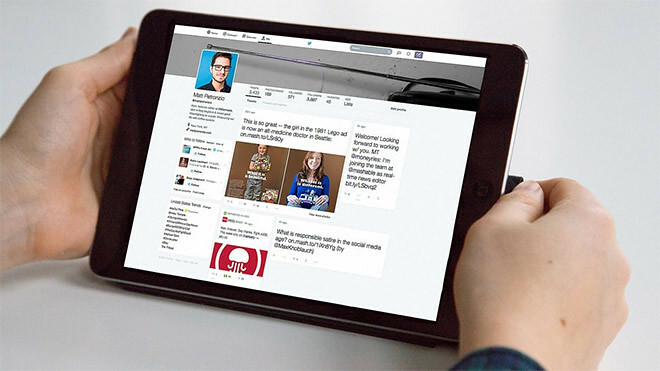 The revamped tweet stream is also a departure from its signature look. There is a greater focus on photos and content cards. It moves away from a strictly vertical timeline too.